The PHP, SQL-based WikiEngine used by WikiPedia and other sites. Prior to that WikiPedia used UseMod. Since the WikiPedia is getting so much attention, it is becoming more popular as well. The companion wiki to NealStephenson's latest book uses the Mediawiki engine. The new PHP-based software had several problems when it was first deployed, but most of the bugs were quickly fixed. 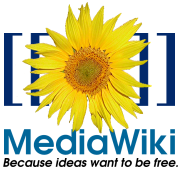 MediaWiki is primarily developed for WikimediaFoundation projects, and not much effort has been put into making it ready for general use. One major developer, BrionVibber, recommends that people should look to more general wiki engines to power their wikis. On the other hand, another major developer, ErikMoeller, thinks it's the coolest wiki engine going. Actually, my opinion on wikis hasn't changed much, and I would hardly refer to myself "one of the most vocal advocates against wikis" at any given time. In fact, the early 2001 discussion we had on wikis on P2PJ resulted from my suggestion to create a closed wiki for P2PJ (although today I realize that it is arguable that this is a contradiction in terms). My early antipathy towards CamelCase has developed into a fanatic obsession which is kept in check by ignoring most wikis which use it ;-). In all fairness, MeAtBaLlWiKi? does a reasonably good job at keeping things in a state that is not completely UgLy. But I still think CamelCase is the worst design decision in the history of wikis. I don't think every wiki should look like WikiPedia other than that every wiki should use some form of free links. InfoanarchyWiki? is based on UseMod, for example, and I think that was a good choice. My views have changed somewhat on the principle of openness -- I have learned that the openness of wikis actually works if you have a clear set of rules and guidelines as the 'pedia does. I'm not a big fan of ThreadMode and prefer discussion/content separation, but whether that is done in the form of subpages or of namespaces is a design decision.